LEWIS, LEWIS & FERRARO, L.L.C. 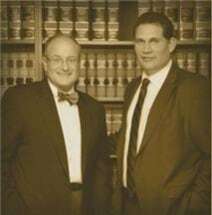 is a small, multi-disciplined law firm, providing knowledgeable, skilled and effective legal representation to individuals and businesses. Our offices are located in the center of Connecticut, near virtually all state and federal courts. Our experienced, highly trained and dedicated staff of attorneys and paralegal assistants deal with problems that affect the quality of life. Our lawyers and staff make themselves accessible to clients and provide prompt, cost-effective legal service. We care about and respect our clients. We listen to them. We understand and anticipate their individual legal needs. With state-of-the-art computer research and a computer-based, interoffice network, we are zealous advocates who work hard for each client. We fight to win, to achieve the desired result. Modern Counter Tops & Cabinets, Inc.